Summer is fun in the sun, it's hot, school is out and everyone is ready to hit the beach! Our family loves vacationing down in Galveston every summer, it's the perfect spot to relax with your toes in the sand! From water parks to trips to the beach, our summers are usually spent on the go and outdoors! Whether you're building sand castles this summer or hanging out at the local spray ground, you can be rest assured those germy, dirty little hands won't be sticking around for the ride home! 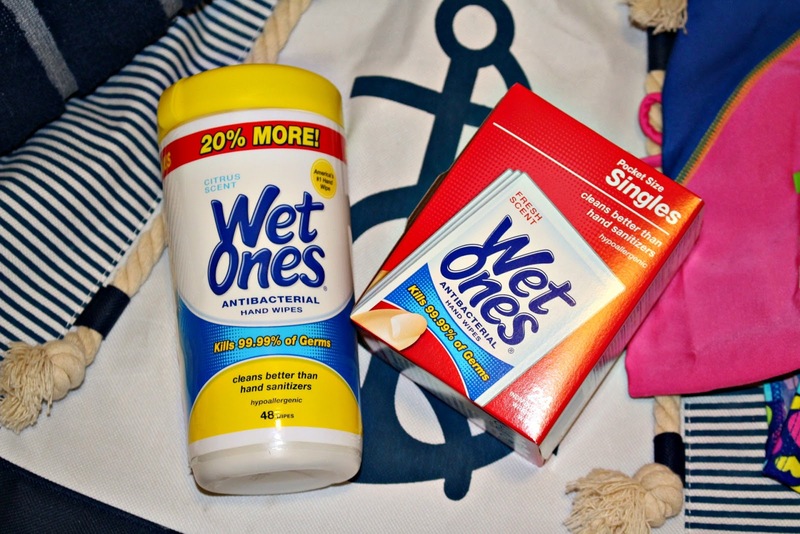 Wet Ones® Hand Wipes are perfect for our busy, on the go lifestyle! Wet Ones® Hand Wipes are America's #1 Hand Wipe*, they make me feel like a super mom, clean and germ free, refreshed, and ready for anything! Let kids be kids, they are bound to get dirty and even sticky! Enjoy the summer time without worry, pick out the best ice cream cone from the neighborhood ice cream truck, and go fishing on a boat and ride the carousel at the amusement park a million times! 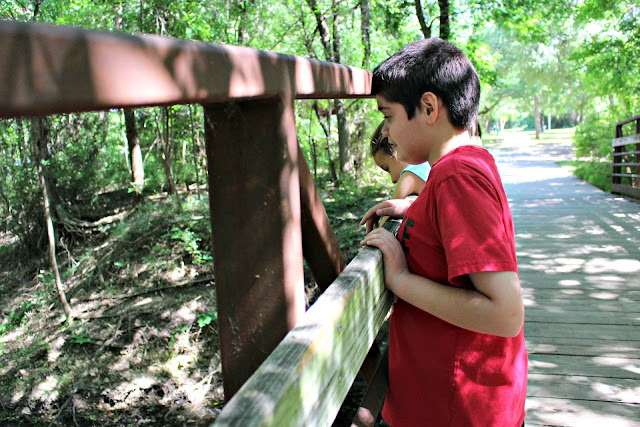 One of my childrens' favorite places to visit is our local park and play ground, they can check out the creek, chase each other through the slides and see who can swing the highest on the swing set. 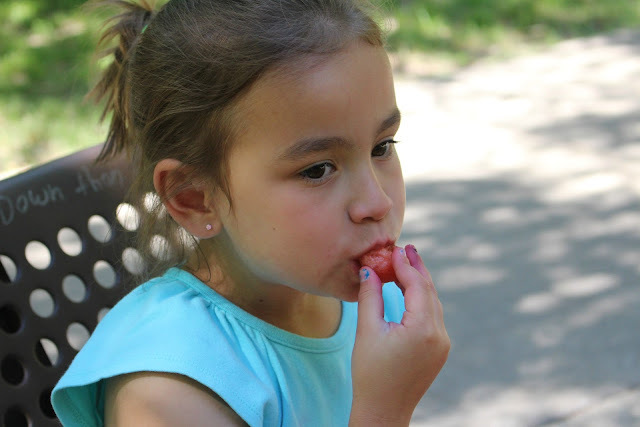 It was such a beautiful day to be out, that we enjoyed some watermelon on our most recent trip. I recently purchased Wet Ones® Hand Wipes and the timing couldn't be more perfect! In no time my daughter had watermelon on anything and everything, all over her hands, shorts, the bench - it was everywhere! Thank goodness I had Wet Ones® Hand Wipes handy. I have the canister and singles for traveling, they are probably the best thing ever invented, not to mention the singles fit in my purse perfectly! 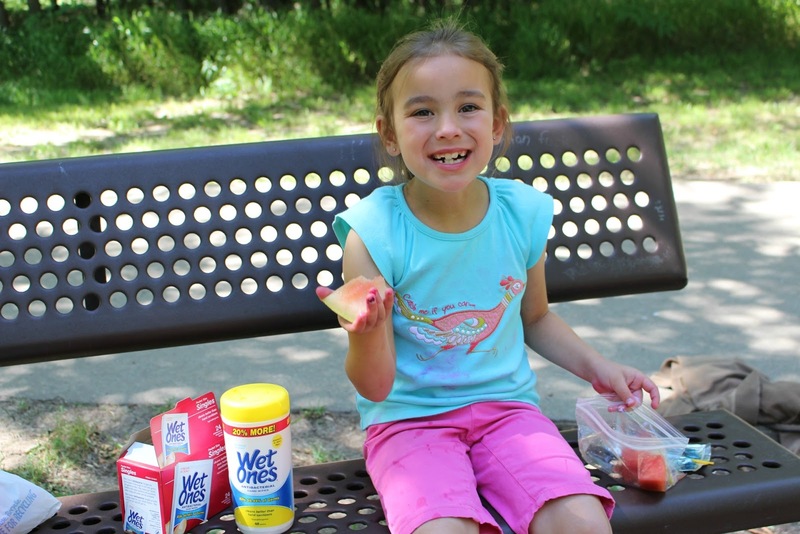 Wet Ones® saved the day, Little Sister C loved cleaning up her hands with Wet Ones® Hand Wipes and was so excited that I had these available for her! 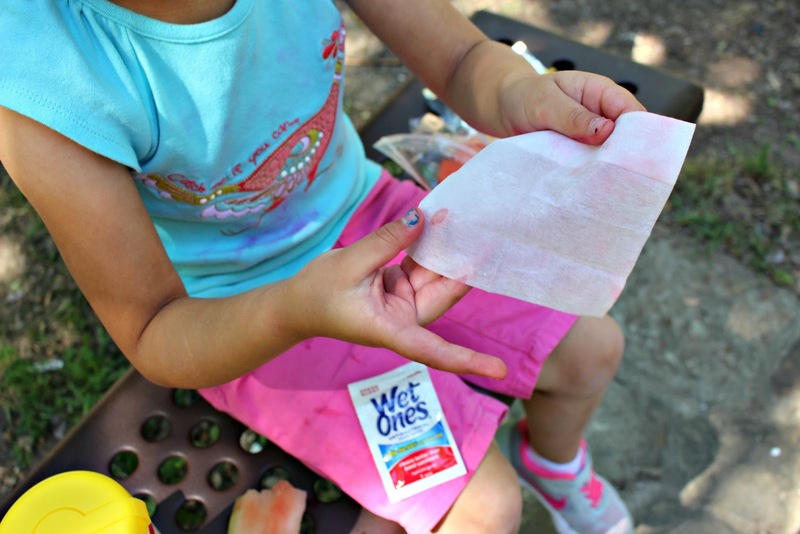 After play time was up, we hopped in the truck and I handed each of my children another Wet Ones® Hand Wipes to wipe their hands with. Who knows what germs are lurking at the playground and I definitely didn't want to bring them home with me. With Wet Ones® Hand Wipes I can control unexpected messes, clean up dirt and germs, freshen up my families skin and offer me peace of mind when I'm out with my family and without soap and water. Wet Ones® Hand Wipes are antibacterial wipes that kill 99.99% of germs, they are hypoallergenic, tough on dirt and germs, but gentle on skin, and they clean better than hand sanitizers!